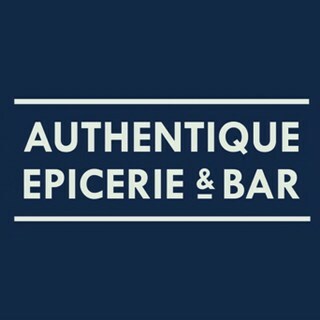 Authentique – Epicerie & Bar is the brainchild of Amaury, Alexandre, Matthieu and Thomas, 4 French guys who grew up with a passion for artisan food and drinks. Having lived abroad for years, we have witnessed a strong crave, from local communities, for craft products from France and the French Speaking world. 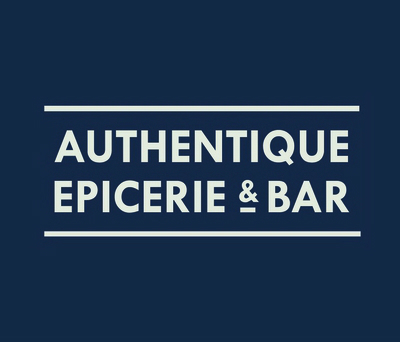 Authentique – Epicerie & Bar is our way to combine our enthusiasm for Francophone Gastronomy with our urge to share and learn with you about the savoir-faire, the products, their creators and terroirs. As a result, every month you will have the chance to discover one of the 12 Francophone Regions we are showcasing, through a carefully curated selection of food and drinks as well as a monthly dinner designed by one of our guest chefs. Delicious food and sharing plates, an excellent combination and balance of ingredients. Loved that the menu shows where ingredients are sourced from! Service was kind and attentive. Atmosphere was relaxed and comfortable, with great Sam Cooke music playing in the background. Overall a wonderful experience and will be back soon! I had small, tapas style dishes of unusal food combinations and a very tasty rabbit pate. The bread and wine were excellent. Would recommend highly but warn that it is on the expensive side. Firstly - Happy 1st Anniversary Guys! Thank you for a wonderful evening with excellent, friendly service. Such an amazing evening and the food was phenomenal. All in all a wonderful experience and I will continue to recommend Authentique. Friendly service, delicious cheeses and good selection of wines. Relaxed atmosphere with friendly and helpful staff, lovely wine and very tasty food! Very happy. A really lovely evening. Thank you to the lovely lady waitress who had just arrived in London from beautiful Beaune! Well judged menu provides excellent food. Friendly and knowledgeable service. Loved it - again! A relaxed and lovely evening. Great set up to catch up with friends, eat delicious food and a huge selection of wines. Knowledgeable staff help with choices. Lovely place, quality food & wines and great staff, highly recommended. Sensational food (super-Coeliac-friendly, thank you Goat in the Garden) and delicious wine. People say its expensive, but we think the "rapport qualité/prix" is fine. Super ambiance, concept et décor; le staff est super sympa, passionné et le service efficace. On a super bien mangé - seul petit bémol, le St Marcellin était très fort. Il était beaucoup trop mûr, comme s'il avait vieilli dans le frigo, c'était dommage car c'est vrai qu'étant française et suisse, ce genre de choses nous manque. Sinon top et on reviendra, merci! Delicious and innovative food, great atmosphere, excellent wines. You contacted me with short notice to say you were closed, with no alternative offered. Relaxed environment, friendly staff, excellent wine and very tasty food. Thank you for a lovely evening. Perfect evening with great food, great wines and great service! great wine, great food and amazing service!